When in Budapest, the One Thing You Must Do — Sapphire & Elm Travel Co.
We have been hearing what a cool city Budapest is for years. I love cities like Prague in the Czech Republic and Split in Croatia; historic cities in Eastern European countries where people aren’t dying to be friendly to you, where communicating is a lot more difficult than pulling out random Latin based words taught to us in high school, and where finding specialty items from home is really difficult. I was out of my element, and I loved it. I knew I was going to love Budapest and I couldn’t wait to see the city for myself. There is so much do to in Budapest; Buda Castle, Hero’s Square, Danube river, ruin bars like Szimpla and more. However, the one thing that you should put at the absolute top of your “To Do List in Budapest” is go to a thermal spa. Budapest has several nicknames, including the Paris of East or the Pearl of the Danube, and also the City of Spas since 1934. Did you know: Budapest is made up of what was once two cities, the hilly Buda district and flat Pest district. 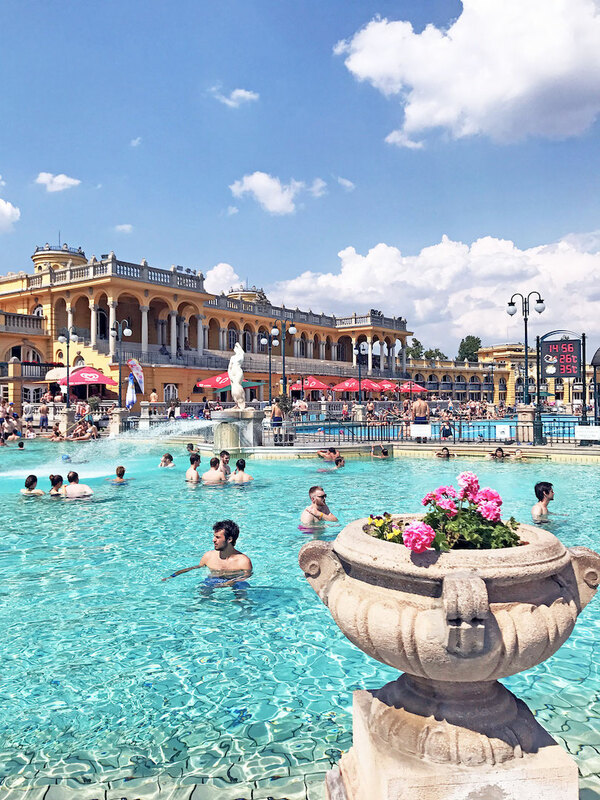 According to estimates, there are approximately 1000 natural spring water sources in Hungary, 118 springs of which are in Budapest, providing over 70 million liters of thermal water a day to the city. There are more than a dozen spas in Budapest, each offering something a little bit different. We'll cover the main 8 baths; Rudas, Széchenyi, Gellert, Kiraly, Veli Bej (Császár), Lukács, Dandár and Palatinus. Did you know: When it comes to per capita thermal water on the planet, Hungary ranks second after Iceland, with its medicinal waters ranging from 21 °C (70 °F) and 76 °C (169 °F). Thermal spas have been a part of the culture here as early as the 2nd century. The Turks established bath houses along the Danube river in the 16th century, but the Romans enjoyed the hot mineral water before them, and the Celts (the first settlers of the area) before them. Many of the baths in Budapest are centuries old, dating back to rule under the Ottoman Empire; Kiraly Bath, Rudas Bath and Veli Bej Bath. By the 21st century, Budapest has reinvented itself as the city of medicinal waters and amazing thermal spas. The bathing culture in Hungary is very much alive and health conscious. Aqua therapy is a part of the regular medical practice, and doctors often prescribe water treatments in the healing spa waters for Hungarian patients. When in Budapest, even if you’re not a fan of public bathing, you should check out at least one spa to experience a central cultural activity. Most baths have multiple tickets including full day or afternoon. Tickets usually include use of all bath pools and facilities, but not personal care services like massages, mud baths, pedicures and more. It’s recommended to book personal care appointments ahead of time. Make sure to bring your own swim suit or prepare to rent one. The layout/design/concept for most of the baths is very similar; a series of indoor thermal pools with temperatures ranging from warm to hot, steam room(s), sauna(s), ice-cold plunge pools, massage rooms, restrooms and changing facilities with lockers. Some baths have outdoor pools with fountains and whirlpools. Being thermal, some baths are open year-round. By Public Transit: Located in Hero's Square City Park. Tramway 1. Many bus transportation options. Vibe: Grandiose in a Neo-baroque palace with no shortage of offerings. View all Széchenyi Baths services. Located in City Park/Városliget, Széchenyi is possibly the most popular and iconic bath in Budapest. Gigantic and lavish with 15 thermal pools with temperatures ranging from 20-40 °Celsius, and 3 immersion swimming pools at 18 °Celsius. Széchenyi Bath was built in a modern renaissance style between 1909 and 1913. The medicinal waters are sourced from a depth of 1,246 meters, the second deepest well in Budapest, it’s temperature being 76 °Celsius! On Saturday the Széchenyi hosts the famous Spa Party. Party time is most Saturdays from 22:30 until 03:00 Sunday morning. By Public Transit: Tramways 18, 19, 47 and 49. Buses 7, 7A and 86. View all Gellert Bath services. Art Nouveau considered the most beautiful pools in the city. Built between 1912 and 1918. Possibly the most famous (along with Széchenyi). 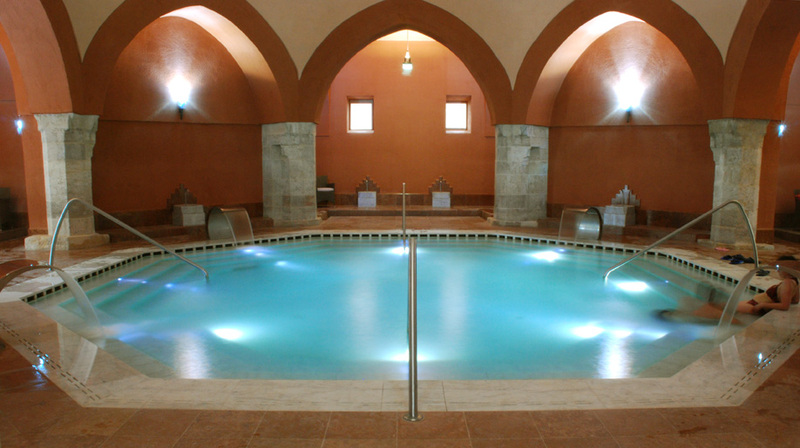 Its’ columned, Roman-style swimming pool may look familiar, as it is the most photographed spa of Hungary. It has 12 pools out of which 7 are thermal pools. Gellert Baths is also an extravagant hotel that's been featured in Hollywood films including I Spy (2002) and was the communist inspiration for the Grand Budapest Hotel. By Public Transit: Buses 7, 8E, 110, 112. Tramways 17, 19, 41, 56 and 56A. Night buses 907, 973. Vibe: Historic with stunning rooftop views of Budapest and the Danube River. View all Rudas Bath services. 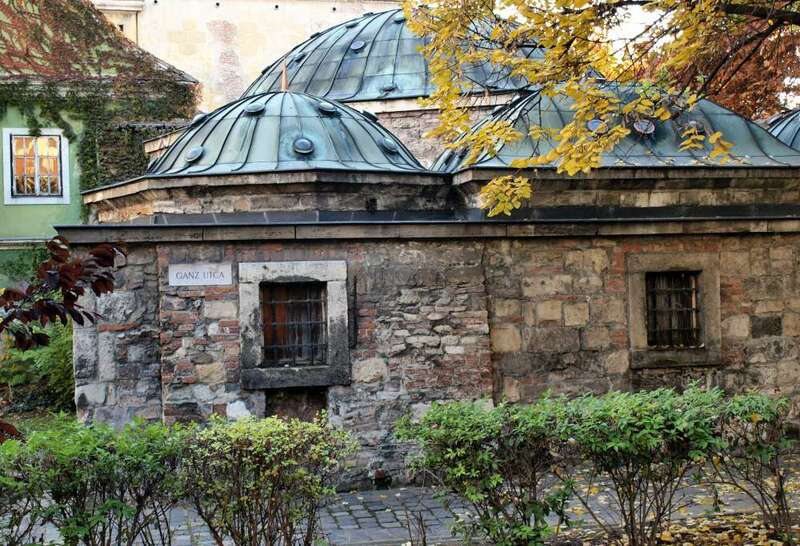 Built in the 16th century, remains one of the oldest baths in Budapest. Includes 6 thermal pools, swimming pool, a cold immersion pool and a rooftop thermal Jacuzzi at 36°Celsius that feels as if it’s built into the side of the mountain. Rudas Bath is centrally located to the city center, just across the Elisabeth Bridge. By Public Transit: Tramway 19. Bus 9, 109. Vibe: Ruinous, historic, little rough around the edges. View all Király Bath services. The construction of this Bath was begun by Arslan, the Pasha of Buda in 1565 and was completed by his successor, Sokoli Mustafa. The Király Thermal Bath had no direct hot water base, nor has it any today, but uses the same water source from the surroundings of the current Lukács Bath. In 1796, the bath was purchased by the König family and rebuilt it to its current form, combining the old with the new, and preserving its monumental character. In World War II, Király Bath was damaged. Its' complete renovation was accomplished in 1950. Children under the age of 14 cannot visit the baths. Tip: 20% discount for Budapest Card. Discount for students and seniors. Veli Bej was built in 1574-75. The building survived the recapture of Buda in 1686. In 1806, the bath became the property of the Ordo Hospitalarius, was was expanded on the original Turkish buildings. During the reconstruction project lead by József Hild in 1841-48, with the help of archaeologists and art historians, the bath was significantly enlarged and its name was changed to Kaiser Bad (Emperor’s Bath = Császár Fürdő in Hungarian). Veli Bej was renovated in 2011 with meticulous archaeological restoration works so the original design of the interior have been preserved. Children under the age of 14 cannot visit the bath. 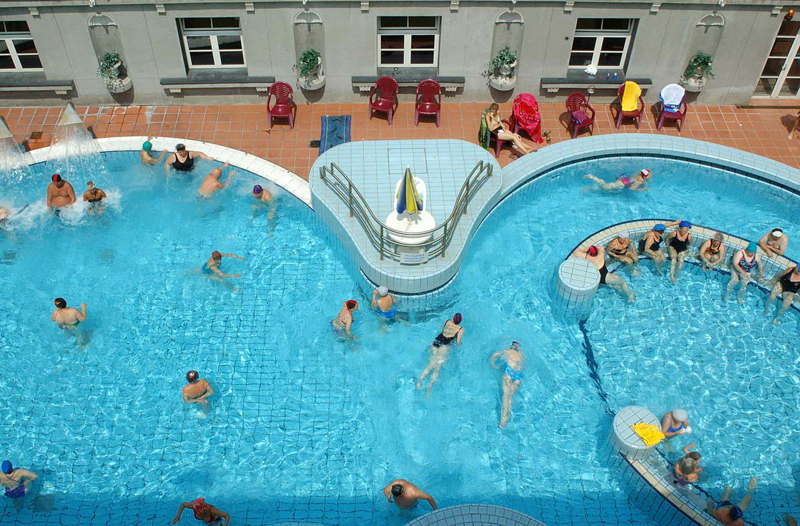 TIP: Veli Bej Bath is located in the Császár Hotel. Discount to the baths for staying in the hotel. By Public Transit: Tramways 4, 6, 17 and 19. Buses 9 and 109. View all Lukács Bath services. Probably most visited by Hungarians. The courtyard of Lukács Baths is littered with marble tablets dating back to 1898, left behind to express gratitude from those who have been cured in its waters. The building of the Lukács bath dates from to the 1920s but the baths themselves are much older, originating from the 12th century. It has five thermal pools, an adventure pool, and two swimming pools. At the end of the 20th century, the thermal bath was thoroughly renovated and all facilities were modernized. TIP: Lukács Baths is free with the Budapest Card. With three thermal pools, one diving pool and two outdoor thermal pools, Dandár Bath is one of the smallest in Budapest. The Bath was commissioned in 1930, transformed in 1936 yet was only slightly damaged during World War II so it could be opened as soon as 1945. Originally, the Bath operated as a sanitary bath. In 1978, however, following a thorough reconstruction, it was put in operation as a thermal bath. By Public Transit: Bus 26. View all Palatinus Bath services. Located on Margaret Island, a nature conservation area on the Danube River, the Palatinus Bath was the first outdoor thermal spa. The Open-Air Bath was opened as a beach o­n the bank of the Danube in 1919. In the summer there is also a wave pool operating at every hour 45 minutes and a water slide park. Its pools are supplied by the thermal springs of the Margaret Island. Whichever bath you choose to enjoy, make sure to devote at least 2 hours to fully utilize the different pools and other facilities. Upon entry, most baths will hand you a plastic armband that will allow you to move about the different parts of the bath house and doubles as a locker key. Taking a shower before going into the bath is compulsory. Cashiers close 1 hour before closing time. Contact us to plan your trip to Budapest, Hungary and beyond. *Prices listed are for adult, week-day entry only (no additional personal care services) at the time of writing in summer/fall 2017.